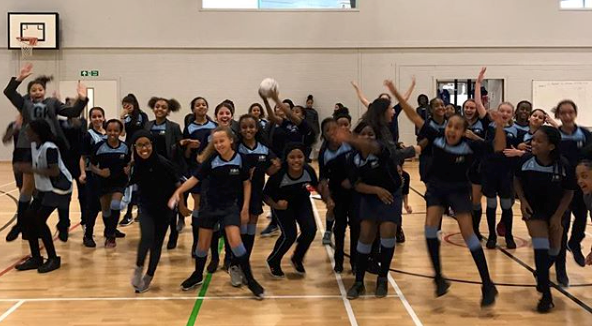 Our first interim sports competition of the year saw 80 girls compete in the inter house netball tournament on Wednesday 3rd October. The teams were raring to go, with the competitiveness coming through from the very first whistle. All teams played extremely well, working fantastically in their teams. The year 7 Franklin team were victorious in their category, Pankhurst took first place in Year 8, and the senior Year 9 to 11 competition was won by Franklin. Overall, Franklin were the winners with a total of 12,500 house points as their reward. The PE department are looking forward to the next competition – house football!